The team I chose, the Patriots didn’t win, but DAMN was that one hell of a game! Don’t you agree? Both NFC and AFC Championships were exciting this season. This Super Bowl in its own right had its moments. Eli Manning beasted! Props to him! 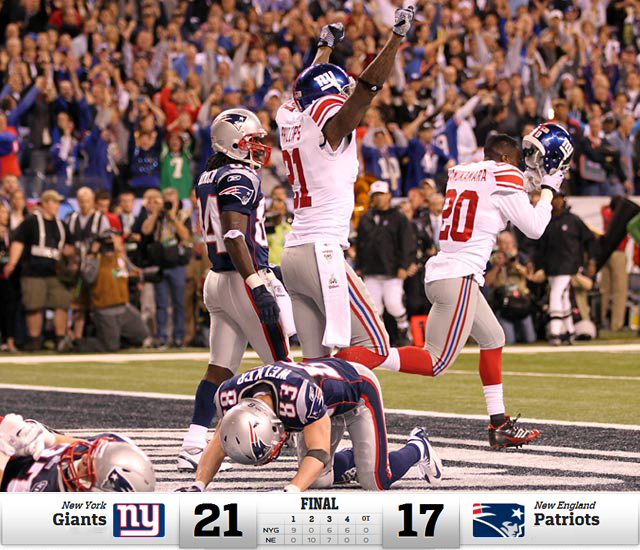 Congratulations New York Giants! The Super Bowl 46 Champions! This entry was posted on February 5, 2012 at 7:12 PM and is filed under Sports with tags Eli Manning, New York Giants, Super Bowl, Super Bowl 46, Super Bowl XLVI. You can follow any responses to this entry through the RSS 2.0 feed. You can leave a response, or trackback from your own site.